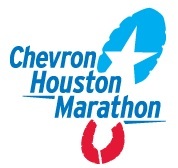 My FIRST Marathon. Completed!!!! My sole goal going into the marathon was to finish... and ideally with a time of less than 5-hours. I did both... with 13-seconds to spare!! In retrospect, my preparation was TOTALLY inadequate. I trained solo, and while I had a great reference book, Jeff Galloway's "Marathon", I chose to only read the few chapters that really interested me... and ignored the vital discussion regarding not increasing one's running distance too quickly, and being sure to follow the prescribed training regimen. These critical mistakes cost me at mile 20, when I was forced to walk for the final 6-miles. Amazingly, though, with 0.2 miles to go, and a complete stranger screaming that I RUN my legs found energy that 30-seconds prior I didn't have, and I managed to sprint in the final 1/4 mile with the dreaded 5:00 clock rapidly ticking down! At that point the memories are complete joy and a strong feeling of accomplishment and pride for what I'd done. 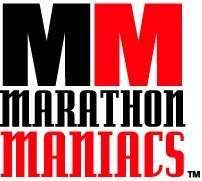 Additionally, I secretly (unbeknown to my wife and daughter) was plotting my second marathon!